Whether you’re considering a cosmetic surgery procedure such as breast augmentation, a reconstructive treatment like skin cancer reconstruction or soft tissue fillers including BOTOX® Cosmetic, the plastic surgeon you choose is instrumental in achieving the results you desire. Board-certified South Carolina plastic surgeon Dr. Ted Vaughn understands that the decision to undergo a plastic surgery procedure is a personal one that requires careful consideration. The team at Piedmont Plastic Surgery recommends that patients research prospective plastic surgery procedures and surgeons prior to committing to treatment. We hope the following tips will help as you search for the best plastic surgeon to meet your individual needs and goals, and we invite you to browse our website or call 864-223-0505 with any questions or to schedule your personal plastic surgery consultation. Friends, family members or colleagues who have undergone a plastic surgery procedure can be a good starting point for information about a particular plastic surgeon. If you know someone who has had cosmetic surgery, reconstructive surgery or treatment with dermal fillers, ask how well the plastic surgeon explained the procedure, the surgeon’s bedside manner on the day of the procedure, and how follow-up care was handled. Likewise, the Internet is also a valuable research tool for learning about a surgeon’s educational background and hands-on experience. Most reputable board-certified plastic surgeons will include information about their education, internships, residencies, post-graduate training, certifications, licenses and professional affiliations on their websites. When considering a plastic surgeon, be sure to verify board certification by the American Board of Plastic Surgery (ABPS), the only board certification for plastic surgeons that is recognized by the American Board of Medical Specialties. Learn more about Dr. Ted Vaughn. If a prospective surgeon offers most cosmetic surgery and reconstructive surgery on-site, it’s essential to verify that the surgical suite is accredited by the American Association for Accreditation of Ambulatory Surgery Facilities (AAAASF). Most importantly, schedule a consultation. Meeting a potential plastic surgeon on a one-on-one basis will help ensure that you feel comfortable with the surgeon, and that he or she understands your goals and thoroughly explains your options. You may want to bring a list of questions to your consultation and ask to see before-and-after photos of the surgeon’s work. 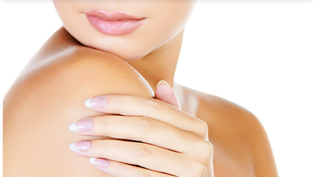 Board-certified by the ABPS with additional certification in hand surgery, Dr. Vaughn has more than 20 years of experience providing patients with exceptional results in a broad range of plastic surgery procedures. Dr. Vaughn and the entire team at Piedmont Plastic Surgery are dedicated to your comfort, safety and satisfaction, and we would love the opportunity to meet with you, discuss your goals, and create a custom treatment plan designed to exceed your expectations. If you’re considering plastic surgery, please contact Dr. Vaughn and his team through our website or by phone at 864-223-0505 to schedule your personal and confidential consultation. Piedmont Plastic Surgery is pleased to serve patients in the Greenwood, Greenville, Anderson, Columbia and Laurens, South Carolina areas as well as Augusta, Georgia.